Becoming an electrician or being an electrical contractor can be very in demand nowadays. The good thing about it is that industry players are doing what it can to prevent a full-blown shortage. Southwire says it has teamed up with other industry players in training future batches of electricians. "Southwire, among other forward-looking companies, is preparing young workers to fill that potential skills gap through training and apprenticeship programs. To build strong relationships with younger, less experienced electricians, we are collaborating with National Electrical Contractors Association (NECA) and Independent Electrical Contractors (IEC) to train the next generation of electrical workers. Through the electrical training ALLIANCE, NECA and the IEC, we support Joint Apprenticeship and Training Committee (JATC) and SkillsUSA—vocational training programs for apprentice electricians across the country. Companies often donate supplies for continuing education and training events they host with industry partners. For example, we provide supplies for "wire-offs"—events in which electricians compete to wire systems. We also donate employee hours to train contractors through product demonstrations, events that often count for their continuing education requirements." Some electrician associations meantime fund scholarship programs to help avoid possible shortages and at the same time help fellow workers earn degrees. The Business Journal Daily published a feature on this. "Eligible applicants include journeymen electricians with IBEW Local 64 and employees of signatory electrical contractors in the Mahoning Valley. Students pursuing undergraduate degrees in electrical engineering, electrical engineering technology, civil and construction engineering technology, business management and other degrees that benefit the electrical industry are given preference." 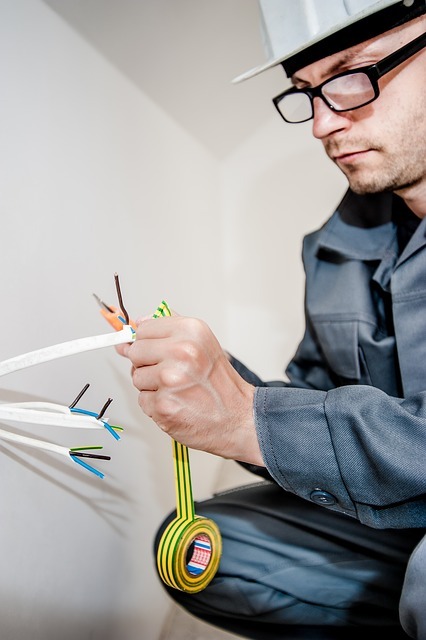 Construction Informer meantime gave electrical contractors an advice on how to not get affected by the seeming shortage of electricians. "Similar to the point above, today's employees are not hesitant to jump ship for a better opportunity. Online job databases let them see who's offering what far more easily than in the past. Plus, many young trade workers assume (correctly or not) that the only way to advance is to move. For electrical contractors, that can mean laying out clear career paths within the company. Another approach is to offer employees plenty of opportunities for new training and certification. While you might be limited in terms of offering promotions, your employees will still appreciate your willingness to give them room for professional growth." A shortage can indeed be avoided through pro-active means. The post Preventing a shortage of electricians appeared first on Lightning Electric.